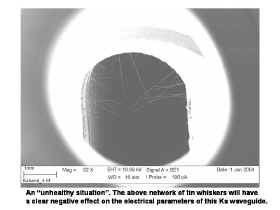 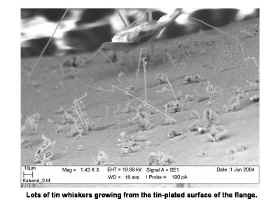 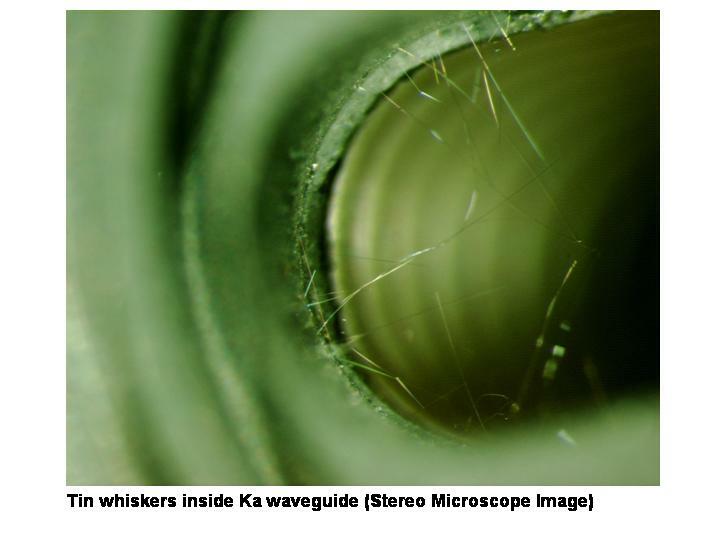 The images below depict tin whiskers found growing from the tin-plated flange of a Ka band waveguide. 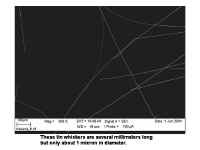 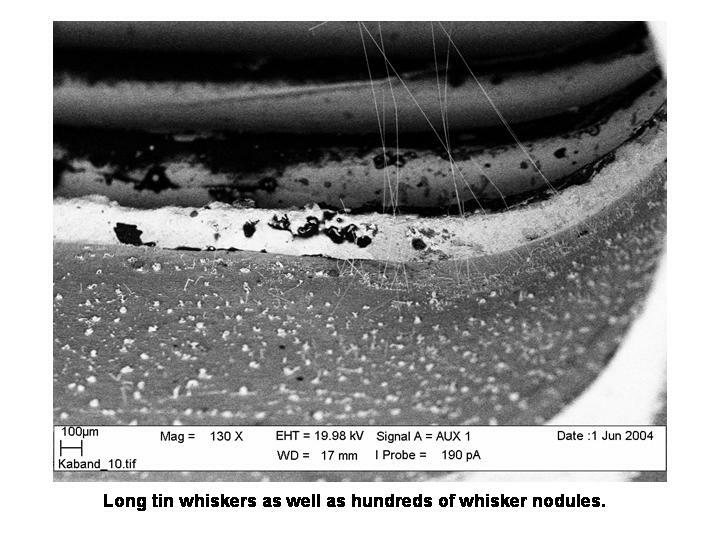 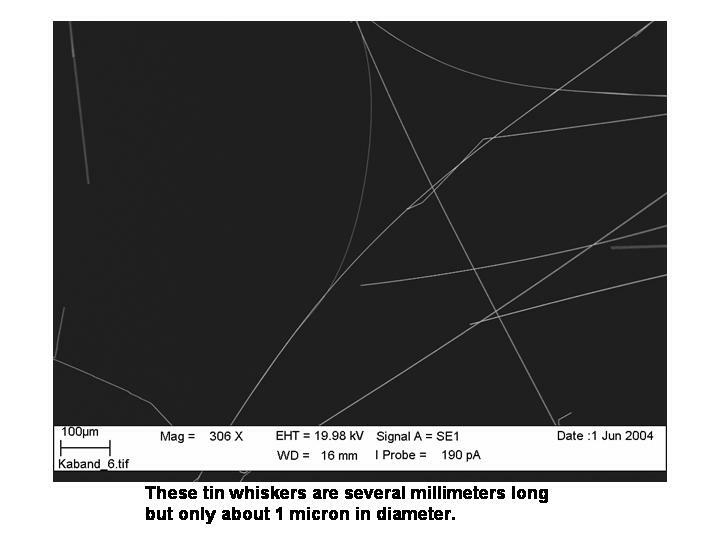 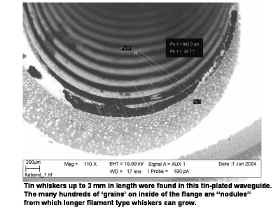 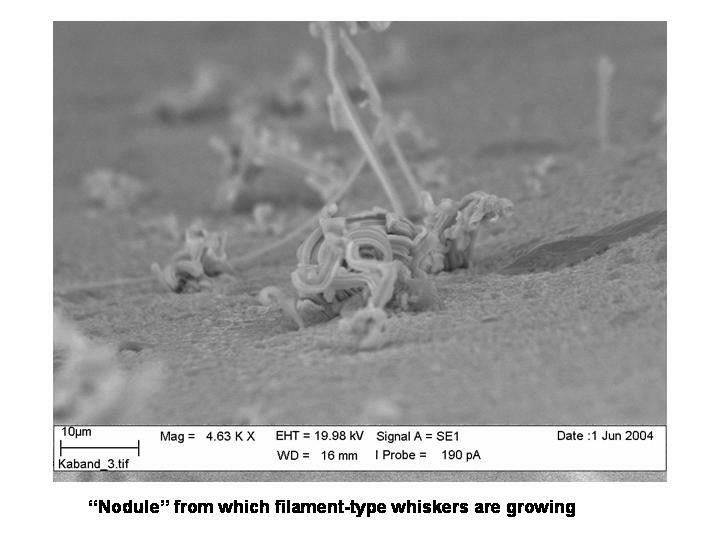 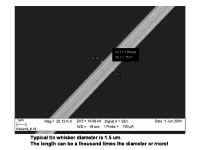 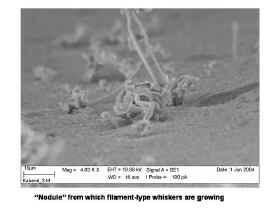 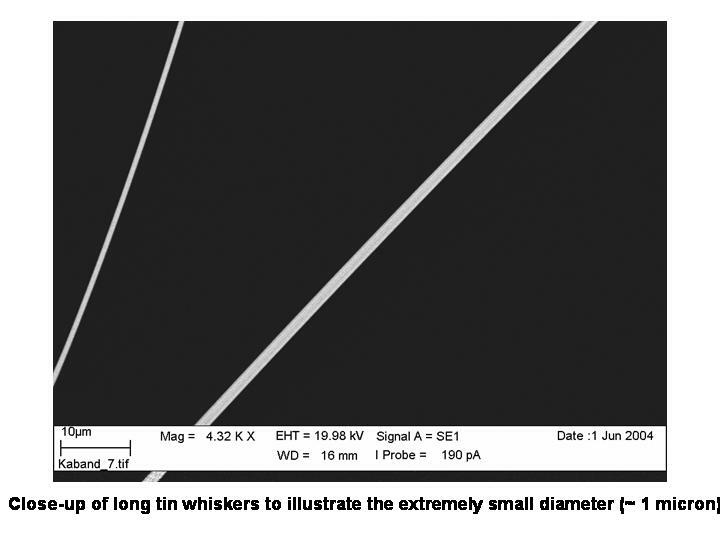 The high density of whiskers, some approaching 5-mm long, were found within several weeks of receipt of product by the waveguide user. 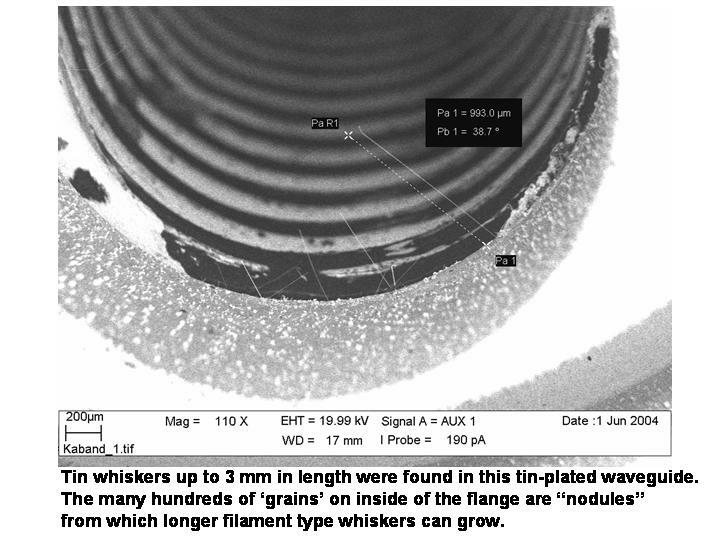 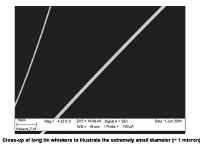 In the end application whiskers of this size and density produced signal reflections and losses that affected the electrical performance of the waveguide. Note: The user's procurement requirements for this waveguide did not include tin as an optional surface finish. 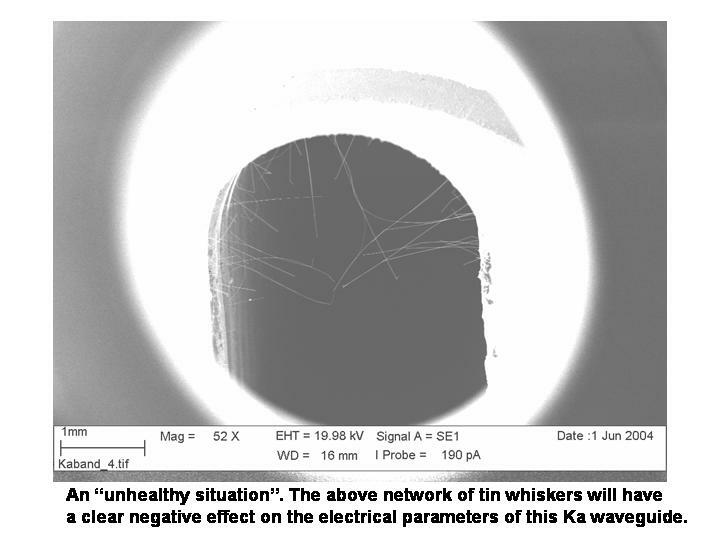 Pure tin surface finish was supplied in error.